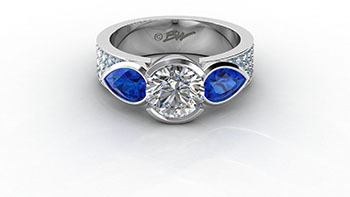 Brian is often asked about the differences between white gold and platinum. First, it is important to understand that most gold jewelry has been alloyed with other metals such as: copper, silver and nickel. 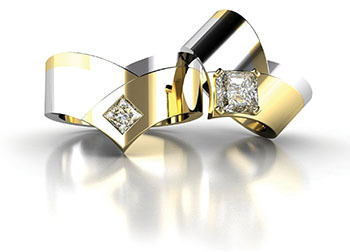 The karat refers to purity or percentage of fine gold. For example: 24K is pure gold. Fourteen karat (14K) is 14 parts fine gold and 10 parts alloy and is sometimes marked as “585” -meaning 58.5% fine gold. Eighteen karat (18K) is 18 parts fine gold and 6 parts alloy and is sometimes marked as “750” -meaning 75% fine gold. Occasionally, Brian is asked to make pieces in 20K, 22K and even 24K, which has a beautiful, bright color. 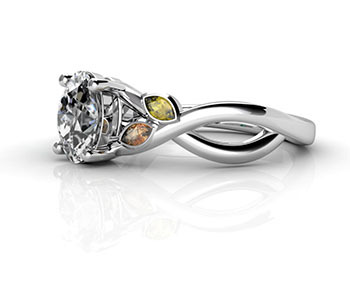 To make white gold, an alloy, usually nickel, must be added to dominate the yellow color of the gold. The percentage of nickel is very small, but occasionally, a person with sensitive skin will have a reaction to the nickel and they must wear Platinum. You can test yourself by taping a nickel(5 cents) inside your arm for a day and see if you have a reaction. 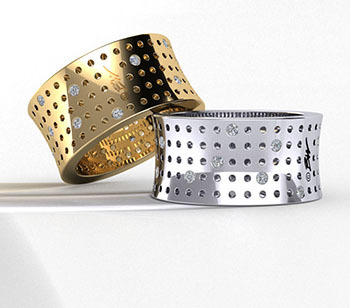 Because white gold is a mixture of a yellow and white metal, it tends to have a slight tint of color. 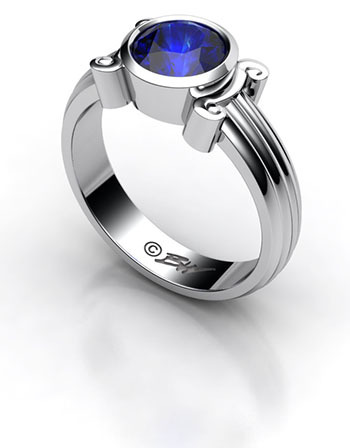 Jewelry manufacturers electro-plate their white gold jewelry with Rhodium to mask the actual color. 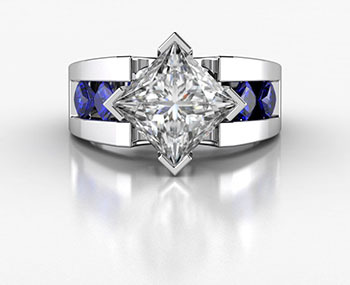 Very often, Brian is asked: “Why is my ring turning color?” then Brian has to explain what their jeweler failed to tell them, -the ring is not turning color, it is the Rhodium plating wearing off. Brian has developed whiter alloys that may not need plating and some people prefer the warmer tone. Brian always offers you choices, including other shades like: Peach, rose, green, and even “Rolex yellow” gold. Platinum is not alloyed like gold usually is. Platinum is denser and whiter than white gold. 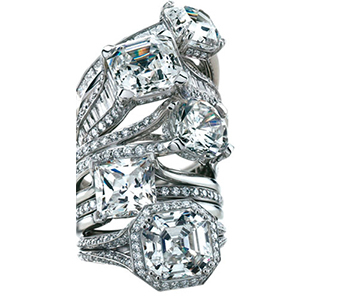 Platinum really is the king of precious metals. 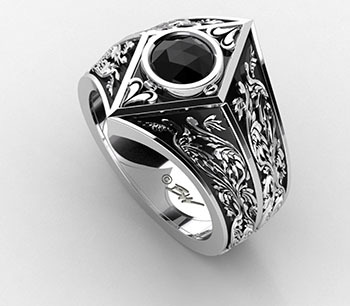 It is usually more expensive than white gold, and the same design made in platinum will feel noticeably heavier. Platinum will scuff and scratch just like white gold. White gold is much easier to polish and can be re-Rhodium plated, -Platinum never needs plating. Brian says it is wise to avoid Platinum that has had Cobalt added and Palladium. 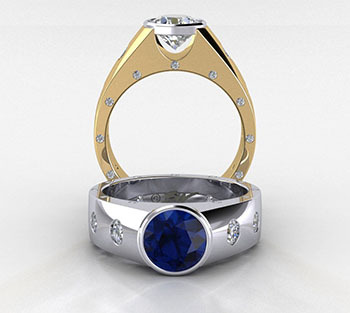 Palladium and Cobalt are very toxic metals to have in contact with your skin and Brian will not even work with them. And, just because a piece of jewelry is marked “14K” does not always mean it actually is. Brian can teach you how to tell the difference.